On 10th October 2017, we were thrilled to present An evening with... The Fragrance Foundation in London. The event was attended by over 180 influential industry figures from all areas of the fragrance industry. 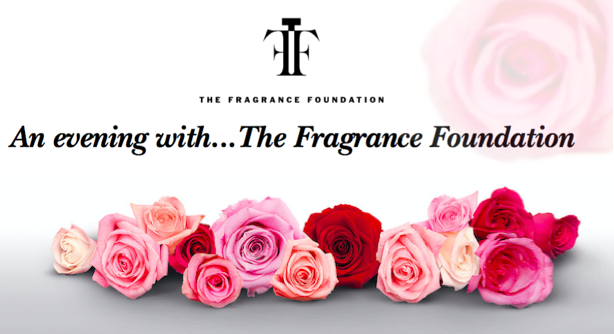 The Fragrance Foundation is a non-profit making educational organisation setting standards of excellence for the fragrance industry in the UK, helping to expand the appreciation, enjoyment, use and sale of fragrances amongst all people. This event highlighted the many projects of The Fragrance Foundation and their plans for the future in raising the reputation of our industry. The event commenced with a networking champagne reception, where guests were welcomed by our hostess’s courtesy of Flair Recruitment. The room was decorated in celebration of National Fragrance Week by 2 Breathe Creative with beautiful flowers from Seasons Florists of Wimbledon. Guests then moved through to the auditorium where they we welcomed by The Fragrance Foundation Chairman Annalise Fard also Director of Home and Beauty at Harrods and its Board of Directors then presented on the various projects The Foundation is working on. Linda Taylor, Vice Chairman of The Fragrance Foundation and Managing Director of Kenneth Green Associates presented on the purpose of The Foundation and the benefits of membership. Linda Key Jackson, CEO of The Fragrance Foundation, presented the management report of The Foundation with a summary of the achievements of the past year. Annalise Fard presented one of the most important initiatives The Foundation has been working on: Raising the Reputation of the fragrance industry. The fragrance industry employs many people and gives much pleasure to many people with its rich and fascinating heritage. Despite this, it is not fully recognised by those in power in the UK as a ‘proper’ industry, and receives minimal acknowledgement for its success. The Foundation believes their role is one of enabler, investing where they can most make a difference, where they see potential for excellence, or where they can be a supportive catalyst for change and innovation. By defining and valuing the sector, The Foundation can build the understanding of the opportunities and challenges that are faced. The Foundation wants to raise the profile and talent within the industry and make fragrance a destination industry to work in. 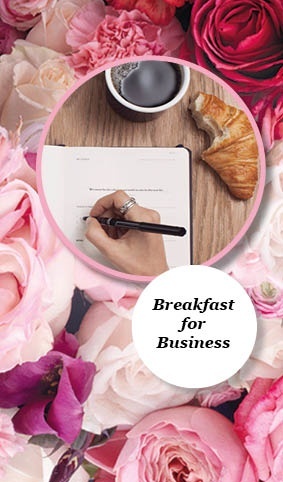 Millie Kendell MBE then spoke on behalf of the newly formed British Beauty Council who is tackling the same challenges for Beauty, together with The Fragrance Foundation and other industry bodies will now collaborate as one voice. Board Director and Master Perfumer, Roja Dove presented on the opportunities for education. The Foundation is expanding on the opportunities to educate the industry, offering an Online Programme for consultants (both permanent and temporary), complimentary training days for journalists as well as a four-part Academy Training Programme aimed at Head Office Staff. Alexis Vaganay, Board Director and General Manager Coty Luxury, UK & I, along with Annalise Fard presented another exciting initiative: National Fragrance Week. A celebration of the creativity, science and skill that goes into the creation of perfume. Initiatives like this are essential in bringing the magic back to fragrance purchasing. Join in and celebrate from 5-11th March 2018! For more information on training and participating in National Fragrance Week get in touch. The Fragrance Foundation would like to thank everyone who attended. Photos from the event can be found on Facebook.